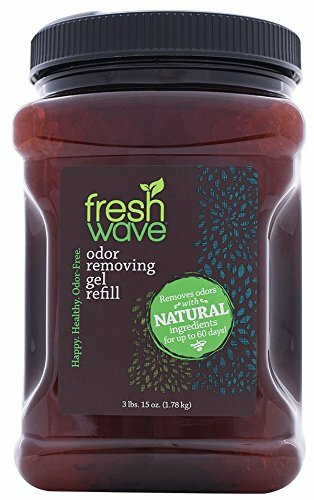 Pour Fresh Wave Gel into any container and place where odors are strongest. Close the lid and store the remaining Gel in the jug. Refill your Fresh Wave Gel containers as needed, 15-60 days depending on size. As the Gel goes to work removing odors, the initial whiff of natural plant oils will dissipate, leaving odor-free air behind. Do not put Gel down drain or disposal. Container is recyclable. Fresh Wave natural odor removing products use natural ingredients – plant oils and water – to remove odors without harsh chemicals or masking fragrances. So instead of covering up odors with perfumes, our products are removing odor molecules completely. When we say that odor is outta here... we're not kidding. Fresh Wave Crystal Gel Refill 64 fl.oz. 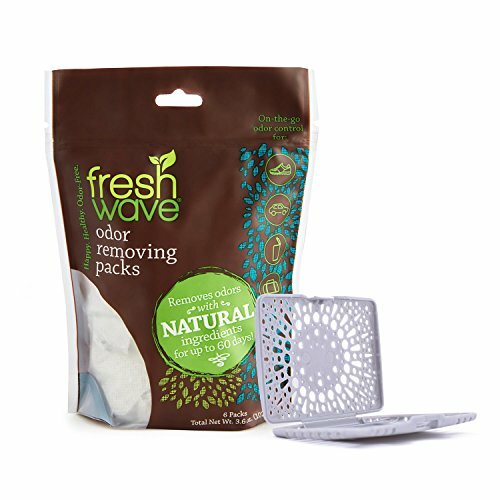 Fresh Wave natural odor-removing products use simple, pure and natural ingredient to get rid of organic and inorganic odors. Rather than covering up odors with perfumes and chemicals, our products actually make the odor molecules disappear. So when we say that odor is outta here...we're not kidding. Our odor-removing gel can tackle even the toughest of odor...Pets, bathrooms, mildew, trash, skunk...Even food odors. Place the gel container where odors are strongest, and bam odor problem solved. Replace every 30-60 days. stock up and save with our special value 2 pack! 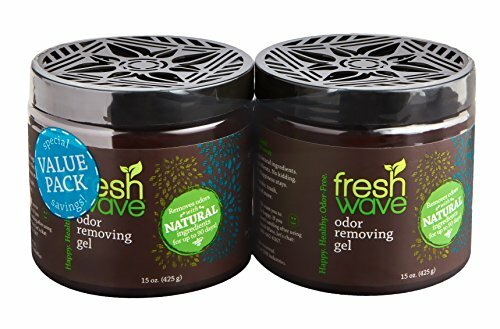 Fresh Wave natural odor-removing products Use simple, pure and natural ingredient to get rid of organic and inorganic odors. Rather than covering up odors With perfumes and chemicals, Our products actually make the odor molecules disappear. So when we say that odor is outta here...We're not kidding. do not put down drain or disposal. Container is recyclable. Spray away odors like you mean it. Don't cover them up! Our spray can be used on clothing, pet bedding, backpacks, sports gear, shoes and trash cans, just to name a few. "How?" you ask. Just shake. Spray. Smile. For stronger odors, a few more spritzes will do the trick. When you smell "fresh air," it's working. Really. It's that easy. (Hint: For special materials like silk, try a little test to avoid water spotting.) 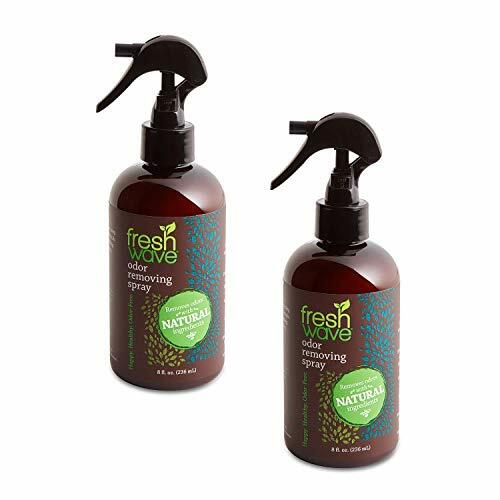 Fresh Wave natural odor-removing products use simple, pure and natural ingredient to get rid of organic and inorganic odors. Rather than covering up odors with perfumes and chemicals, our products actually make the odor molecules disappear. So when we say that odor is outta here...we're not kidding. 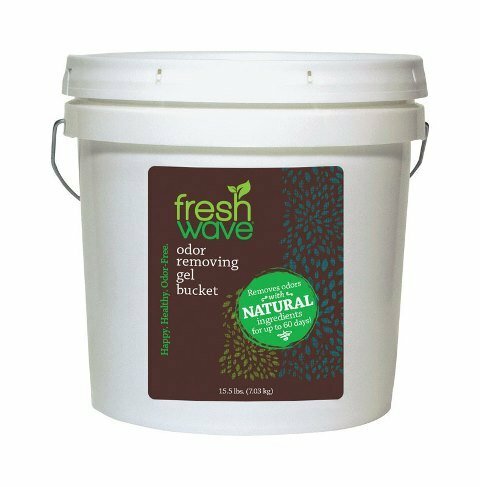 Fresh Wave continuous release gel is ideal for eliminating odors from areas prone to constant smells, such as locker rooms, basements, garages and pet kennels. Place inside your air handling unit for household odor removal, or simply open freshwave gel and place where odor is most prevalent. 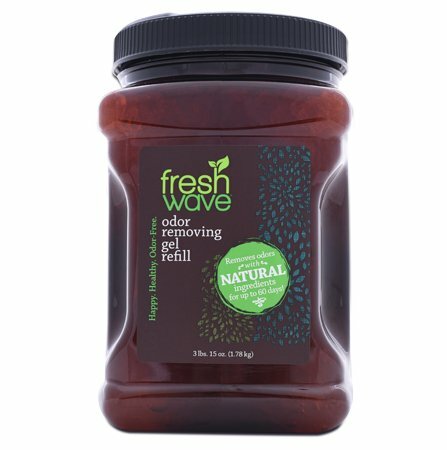 Fresh Wave continuous release gel is available in 16-oz. recyclable plastic containers. Labels are printed on recycled paper. Free 8oz container included! This is a special limited time offer combo pack. This Tiny Bottle Of 8x Ultra Concentrated Laundry Detergent Can Do Big Things. That's Because The Plant Based Formula With Smartclean Technology Seeks Out Dirt And Stains In A Revolutionary New Way To Deliver Beautifully Clean Clothes With Just 1/4th The Dose Of The Leading Brand. Plus, Its Handy Pump Makes For Easy, One Handed Use. No Mess. No Waste. No Aching Biceps. Life doesn't have to stink! 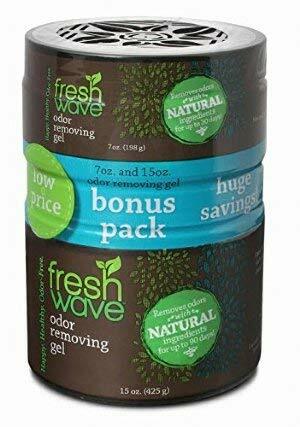 Fresh Wave Gel removes odors using only natural ingredients. No harsh chemicals. No harmful ingredients. 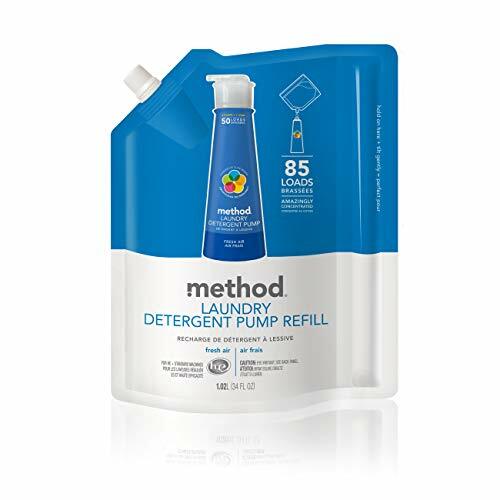 Removes odors from pets, smoke, trash, mildew, food, bathrooms and more. Open lid and remove seal. Replace slotted lid and place Gel where odors are strongest. The Product is manufactured in United States. Shopping Results for "Fresh Refill"